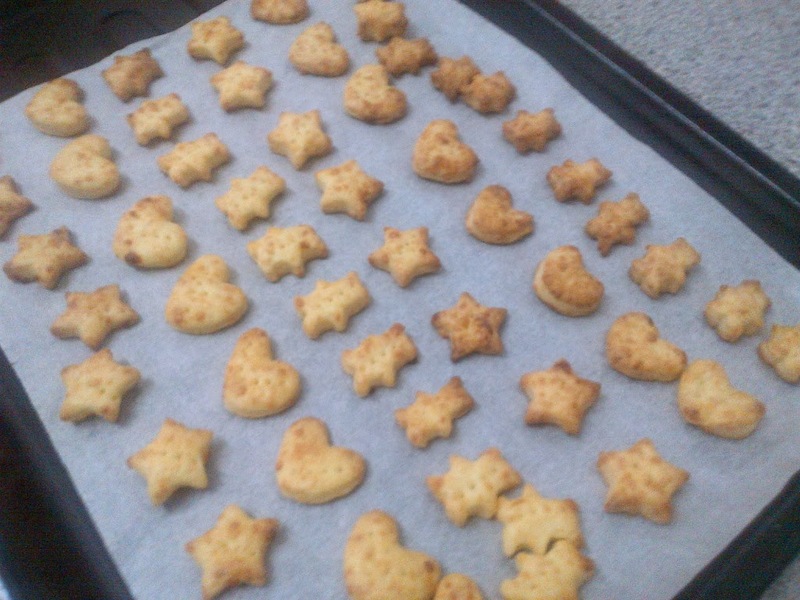 I finally got around to baking my own cheese biscuits for Babycakes. It is so simple, it requires very little ingredients and it is delicious! 4 tbsp butter. 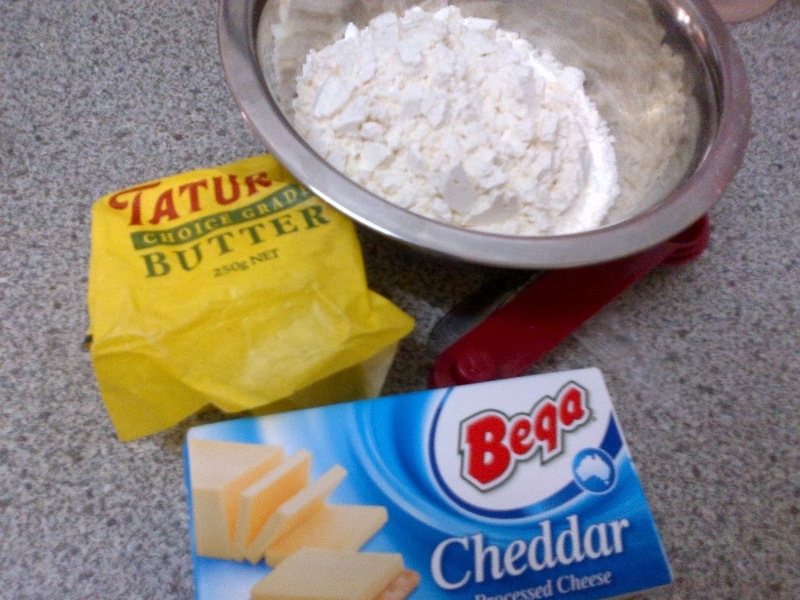 If you use unsalted butter, you might want to add about 1/2 tsp salt into the batter. I used salted butter so I put just a teeny pinch of salt considering that the cheese and butter are already salty. For instructions, click here. I used recipe from this site. After taking out the dough from the fridge, roll it out evenly and start cutting the dough using your favourite cookie cutters. 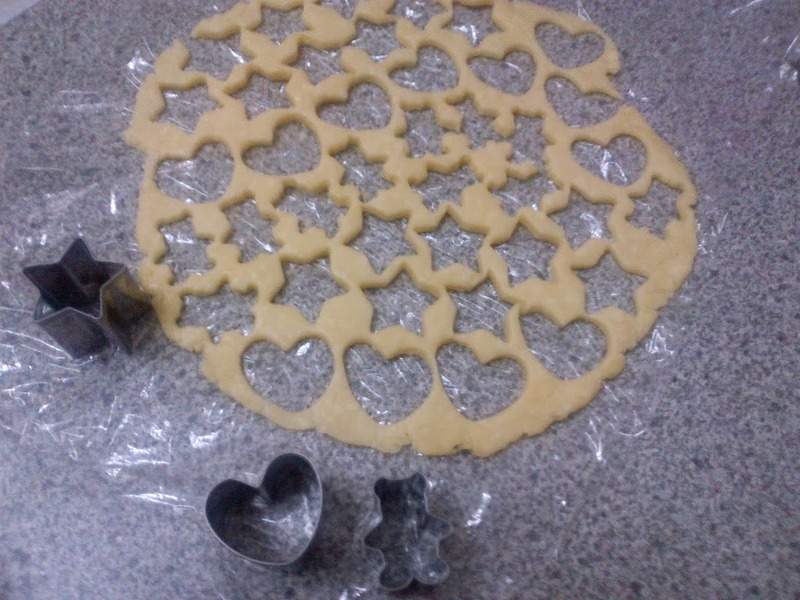 Of course I used my trio cookie cutters in the shape of a star, a heart and a teddy bear. Arrange the cookies on a parchment paper. As you can see, they are close to each other because they don't expand since there is no baking powder in the recipe. Make sure you poke the cookies with a fork so that they don't puff up when being baked. Bake until golden brown and you are done. The biscuits were tasty even my hubby loves it! He even said "Banyak ni je ke biskutnya? Tadi I tengok you buat macam banyak je?" 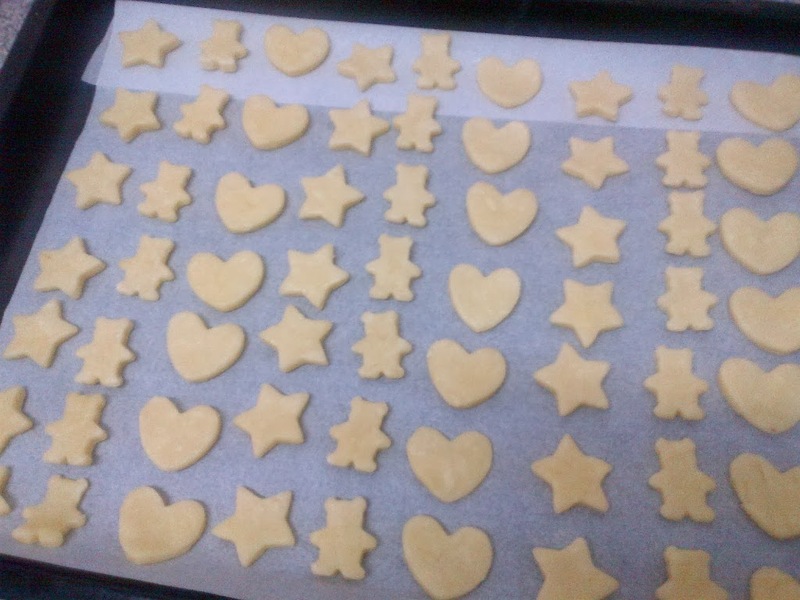 Will definitely bake another batch because this batch is already finished. Go try and make them yourself. It is so easy and most importantly, preservative free, homemade and made with love.